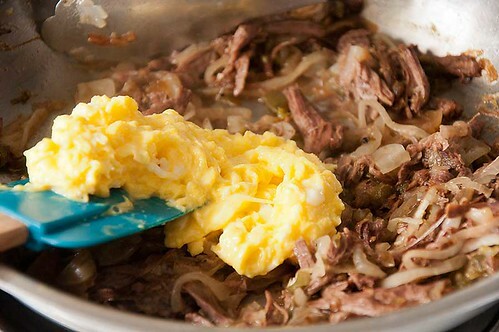 Have some leftover pot roast? 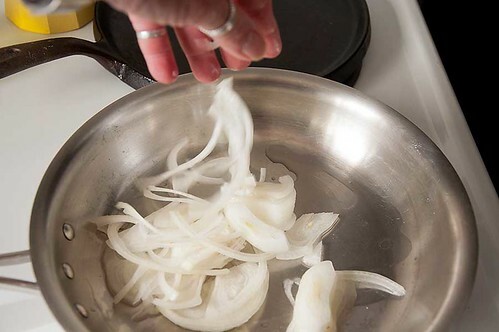 Well, grab an onion, some jalapeños, a few eggs, and get ready for some good eats. 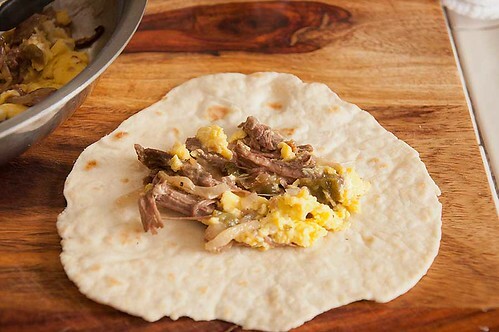 Oh, and don't forget the tortillas. 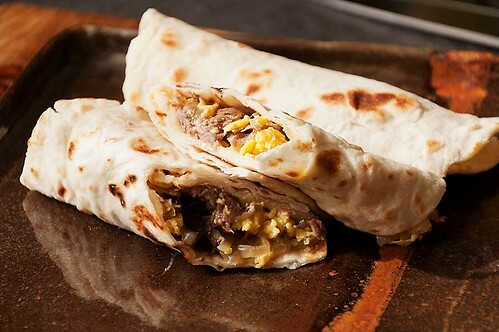 Machaca breakfast burrito; what a great way to start the day. 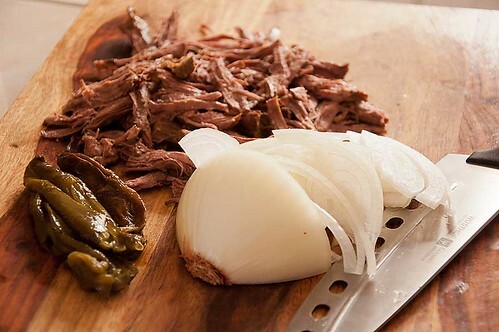 For my machaca I used some leftover pot roast, a few jalapeño's and onion. 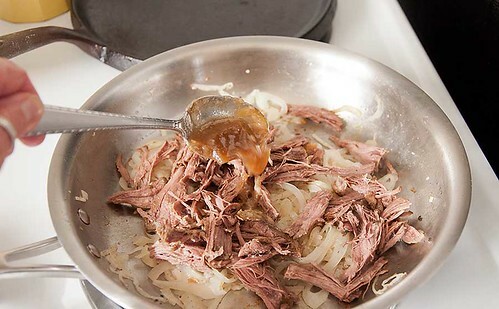 Shred up some leftover roast, then thinly slice some onion. I had a few jalapeños that I roasted the other day, so I used them. I've seen some recipes using red and green bell peppers too, not my first choice though. Amounts are to your taste, and to the amount of meat you have. I used about 3 cups of roast, half a medium onion, and 3 jalapeños. I had some beautiful pot roast juices so I added a couple of tablespoons. and the chilis of your choice, I used jalapeños. 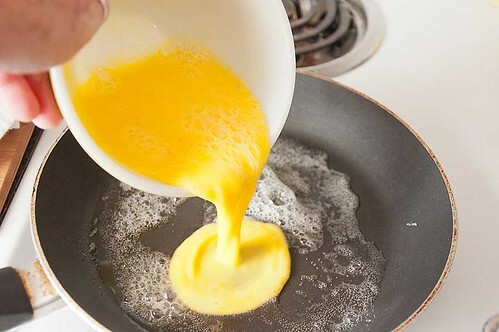 While the meat is heating up scramble the eggs. 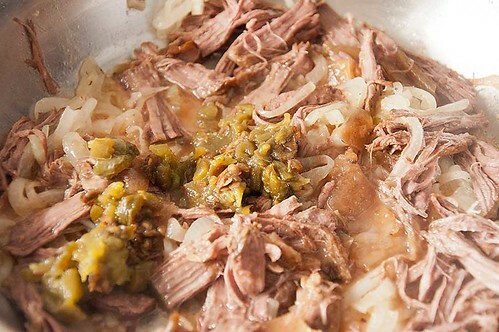 I would suggest you scramble them very loose, as they will continue to cook in the now hot meat mixture. I used my homemade flour tortillas. 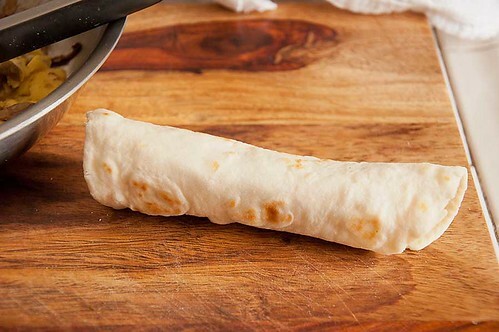 then roll that baby up.